Lately, I have been thinking about how to teach people something unexpected while they are working on something that they are passionate about. It sounds kind of obvious, but my goal isn't to trick someone into learning or to serve them medicine in their sugar. 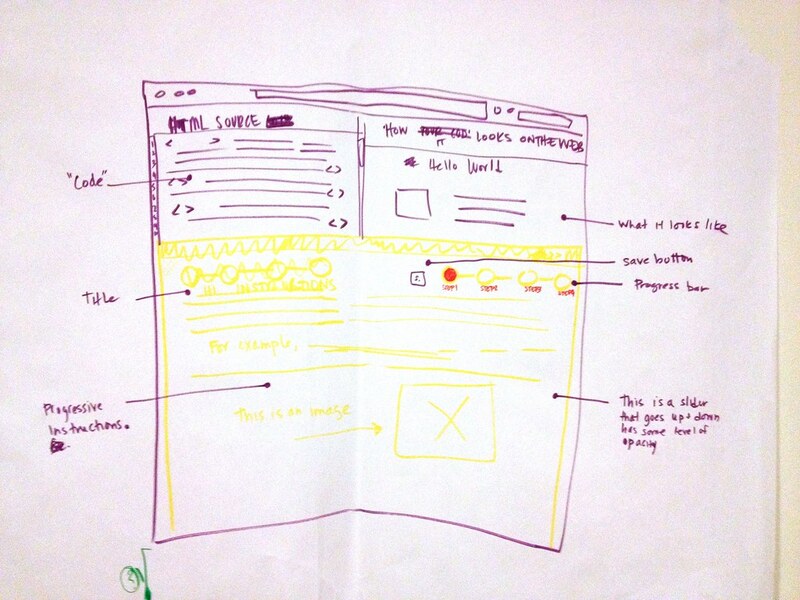 I want to create authentic learning experiences around webmaking projects. I believe that if you are really invested in something, then you will seek out the learning. It's not an innovative idea- but it is a guiding principle behind my design. 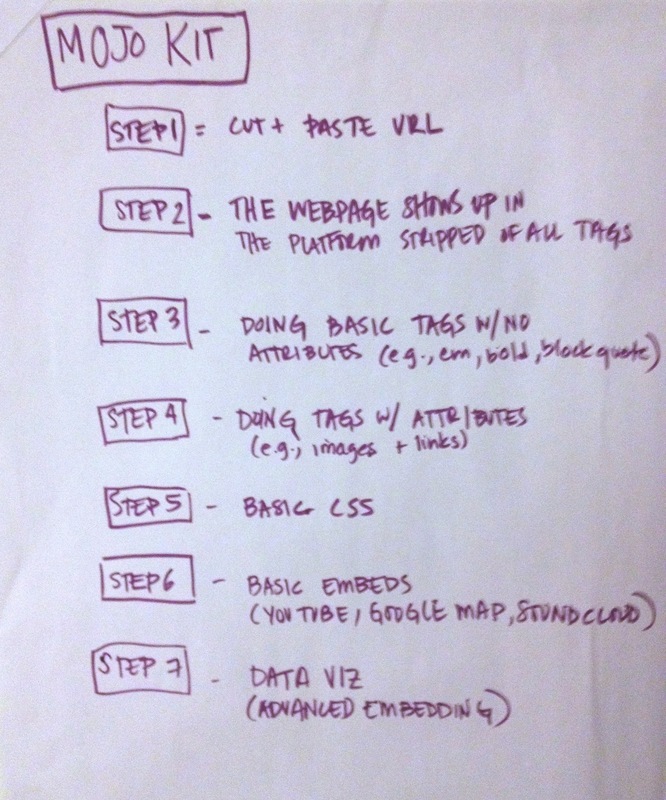 So, with this in mind, recently, a bunch of my Mozilla colleagues and I brainstormed around the idea of how to teach journalists the basics of html, css and copyright in an authentic way. Next, the user's story will be scrapped of style and put into the js.bin shell-similar to our lovebomb and webpage maker prototypes. However, instead of letting a user just do pure hacking in the wild- there is a third layer (seen above in the highly visible color of yellow). The yellow layer is a slider that will provide progressive instructions and tips to the user. I started to work on a mock up just to play around a bit with look and feel. 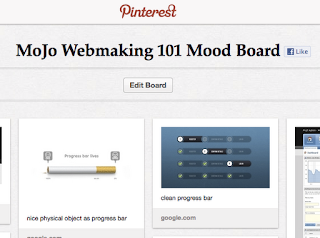 (above) I made a mood board using pinterest. Basically, we are going for clean, serious- but playful, modern. Right now, although I think that this is a good first prototype, I am really thinking about the learning objectives here. Are these the right learning objectives? Are we just skinning this as something for journalists because that is one of main target audiences at Mozilla? 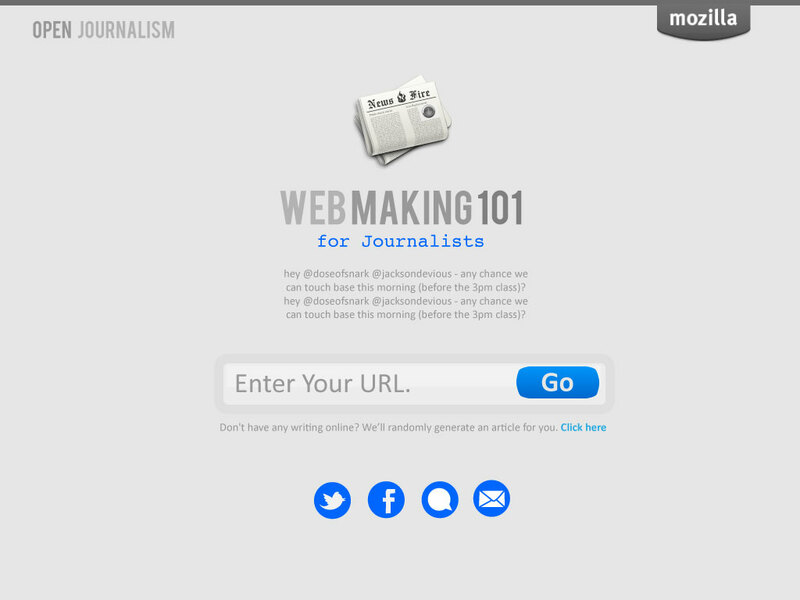 I'm wondering if we should be making a more generic webmaking 101 tool, and creating supplementary curriculum for the target audiences- as opposed to tools for the niche audience. In some ways, this has more merit, because the tools could be informed by the various end users- journalists, filmmakers etc, however it could appeal to a much larger constituency. On the other hand, if we create a tool that could easily be reskinned and modded for different audiences, I could see the value in that. 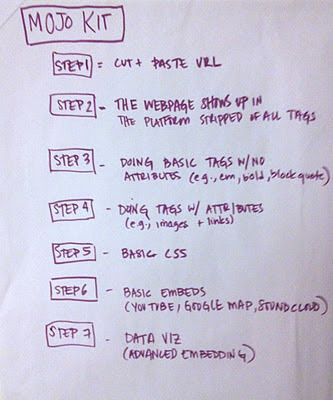 However... if we were to in fact make a more general webmaking 101 step by step tool/ game- ultimately I wonder if this really is the best way to communicate to new users the excitement and potential of webmaking? 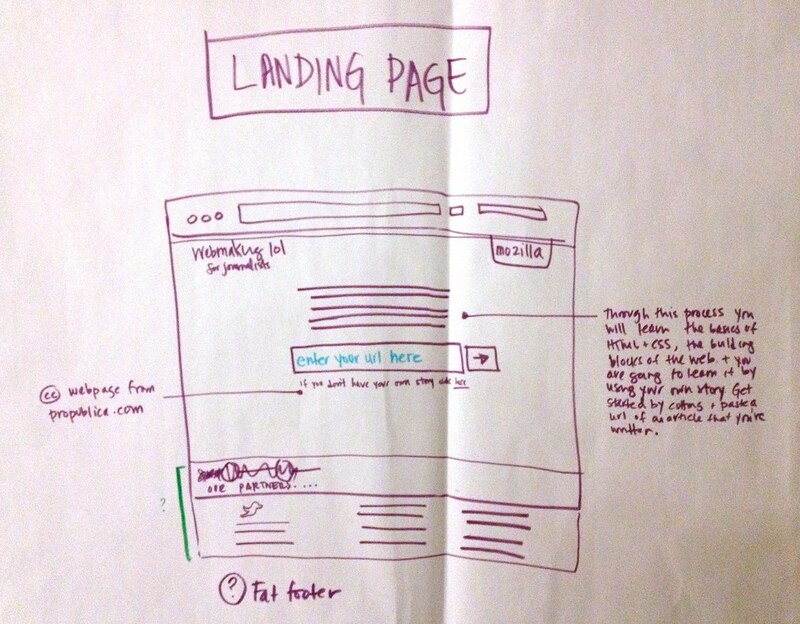 Next week my Mozilla colleagues- Atul, Brian, Dan, Michelle, Erin and I will be doing a design sprint on this. I would love to hear any thoughts that you might have, reader friend.